Who else wants Easy Maintenance and a Healthy Option? Taking care of your wooden floor enhances its beauty, durability and value. Most of our quality floors come pre-treated with a quality and hard-wearing finish. Applying a suitable maintenance product to feed the wood which enhance its character and to continiously protect it from drips and other accidental water spillages is all that's needed. Re-applying the oil or lacquer finish is in 99 of the 100 cases absolutely not needed. We recommend that in the first few years a suitable maintenance product is applied every 5 - 6 months, depending on your 'traffic' circumstances. The beauty of it is - specially with oiled floors - the more times this is done regularly the number of times it is needed will reduce from twice a year to twice every one and a half year or even less. 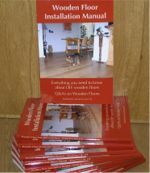 This is the dedicated page where you find everything you need to take care of your natural wooden flooring, the easy way. add to bag the product/products you require, and your shopping bag - the icon on the right of your screen - will show the number of products selected.